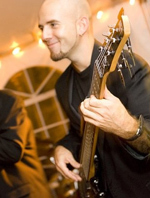 Stephen Orsini is a bass player, through and through, providing exactly what you would expect from a bass player in any given situation. Over the last fifteen years, Stephen has performed in a wide variety of venues, and an even wider variety of genres. From small cafes to festivals, and from intimate duo's to symphony orchestras; he is comfortable and well versed in just about any situation.